Treat your guests to a wonderful meal at a one-of-a-kind dining table -- the Catalan Concrete Dining Table from Sunpan. 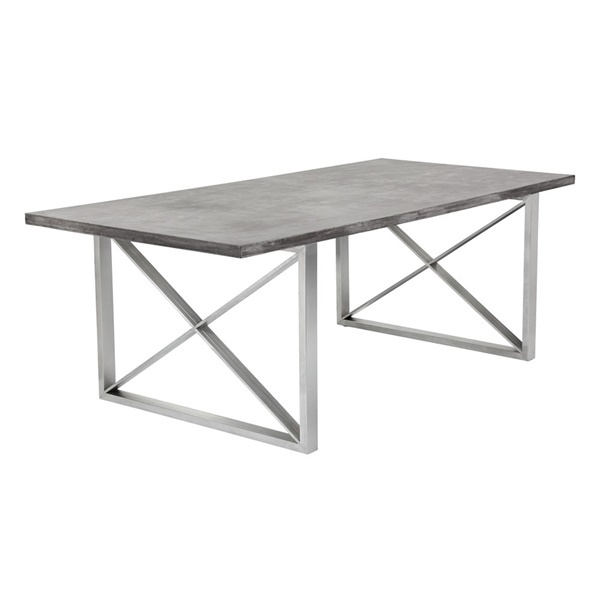 With a chic, industrial look, this table is a surefire conversation starter that your guests are sure to appreciate. Also, the table boasts a distinct, modern design that helps make it both decorative and functional. An exceptional dining table can be tough to find, but with the Catalan Concrete Dining Table, you can reap the benefits of a functional, stylish dining table for years to come. Constructed from first-rate materials that will help the dining table maintain its high-quality appearance for an extended period of time. Distinct, modern design helps the table serve as a decorative, functional piece of furniture. Chic, industrial look ensures the table will serve as a surefire conversation starter for guests. Deluxe top offers plenty of space, making it easy to host both big and small groups in your dining room.